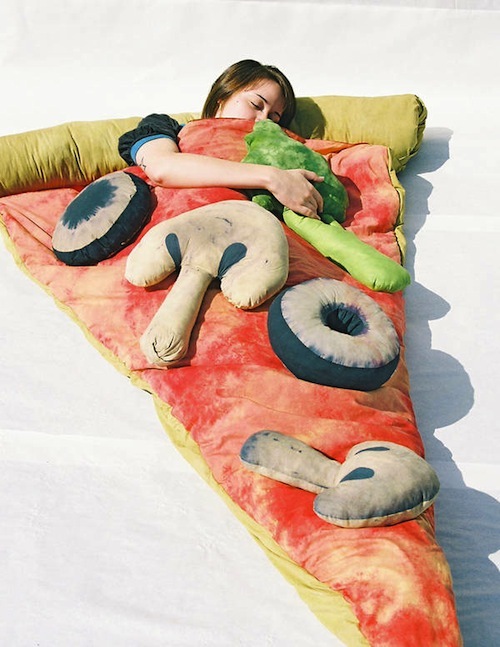 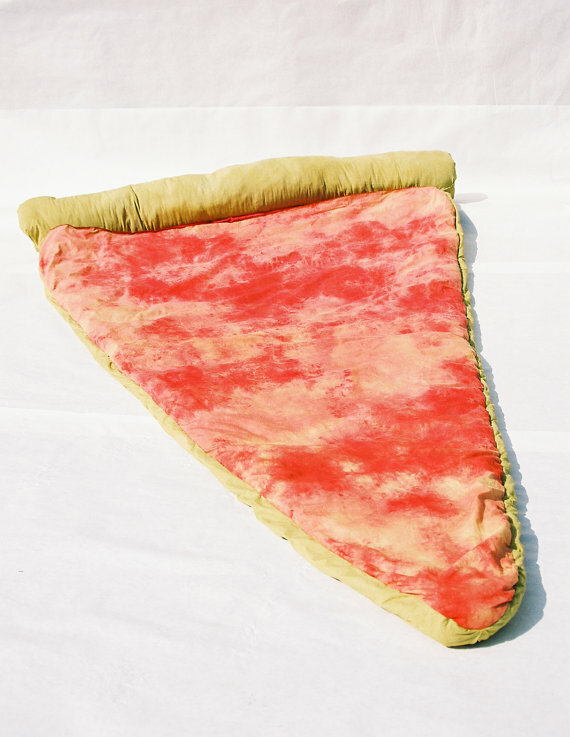 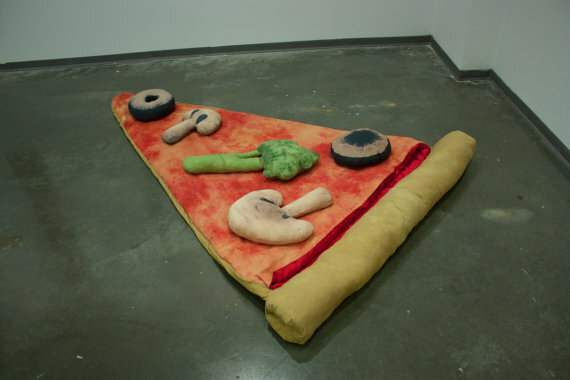 The Pizza Bed is a hand made sleeping bag made from recycled quilts and satin sheets that, just like any other pizza place, is made to order, and charges extra for each topping. 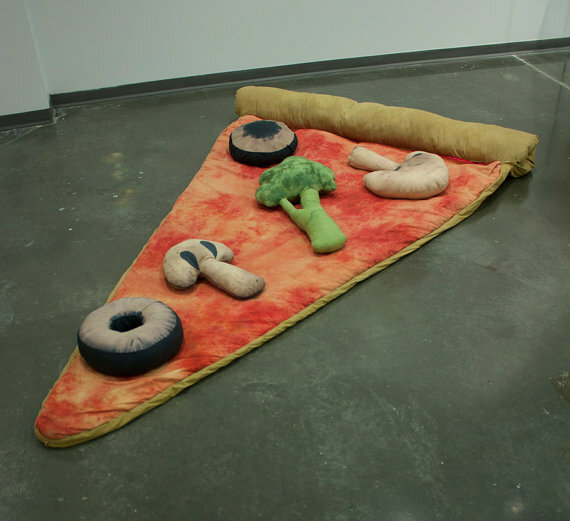 The pizza bed comes bare, with just the cheese, but you can purchase the pillow toppings from the same etsy store, and attach them yourself. 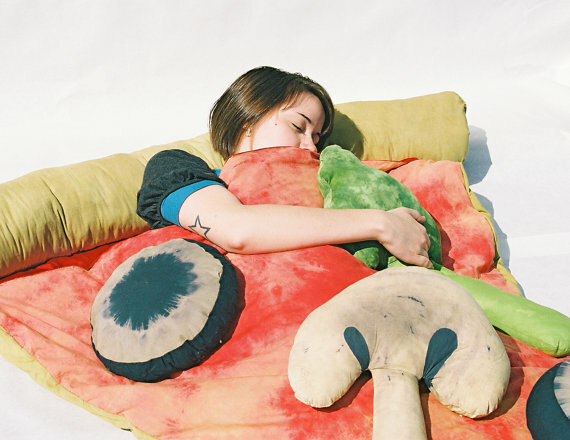 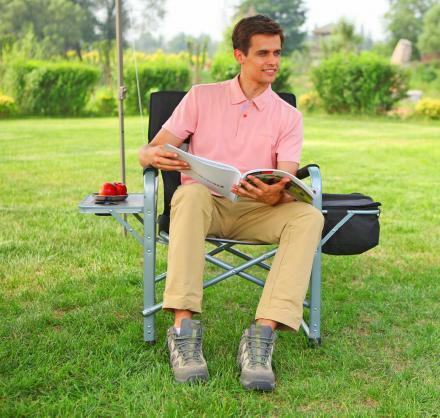 The one gripe I would have is that I coudn't sleep spread eagle.